The project will include a mine, process plant and related infrastructure, all to be constructed and located at the Nolans site. 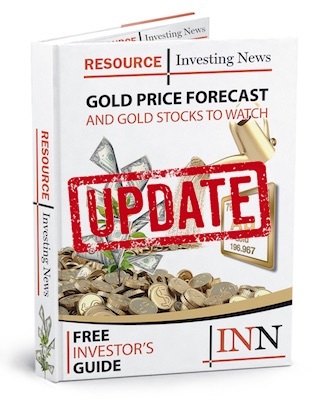 Australia-listed Arafura Resources (ASX:ARU) published a positive definitive feasibility study (DFS) for its Nolans neodymium-praseodymium (NdPr) project in the Northern Territory of Australia on Thursday (February 7). The report estimates an average annual production of 293,000 tonnes of concentrate, containing 4,357 tonnes of NdPr oxide, which is 21 percent higher than previously estimated, 135,808 tonnes of phosphoric acid and 13,343 tonnes total rare earth oxide equivalent. The project will include a mine, process plant and related infrastructure to be constructed and located at the Nolan site. “Along with having secured environmental approvals, delivery of the DFS adds to the platform from which the company can now complete the remaining milestones for Nolans — binding offtake, permitting and project finance,” Arafura’s Managing Director Gavin Lockyer said in a press release. NdPr-based neodymium iron boron (NdFeB) magnets are a primary enabler of the clean energy industry, which is currently reliant on a few, predominantly Chinese, suppliers of NdPr oxide. But as demand continues to increase, Arafura is set to become a major player outside the Asian country. To produce the DFS forecast output, the project will require a pre-production capital expenditure of AU$1,006 million, which includes AU$110.4 million contingency. Operating costs are estimated at AU$48.40 per kg of NdPr, and at AU$36.85 per kg of NdPr with phosphoric acid credit. Nolans is expected to generate an average of AU$377 million earnings before interest, taxes, depreciation and amortization per year over a 23-year mine life. It is also expected to have a net present value of AU$729 million and internal rate of return of 17.43 percent. The project’s cornerstone asset is the Nolans Bore rare earths-phosphate-uranium-thorium deposit, which contains a JORC 2012-compliant mineral resources of 56 million tonnes at an average grade of 2.6 percent total rare earth oxides and 11 percent phosphate. Looking ahead, the company is targeting project construction to start in 2020 and commissioning in early to mid-2022. Arafura has already signed two non-binding offtake agreements with negotiations for additional deals ongoing. On Thursday, shares of Arafura were up 4.35 percent, closing at AU$0.048 in Sydney.